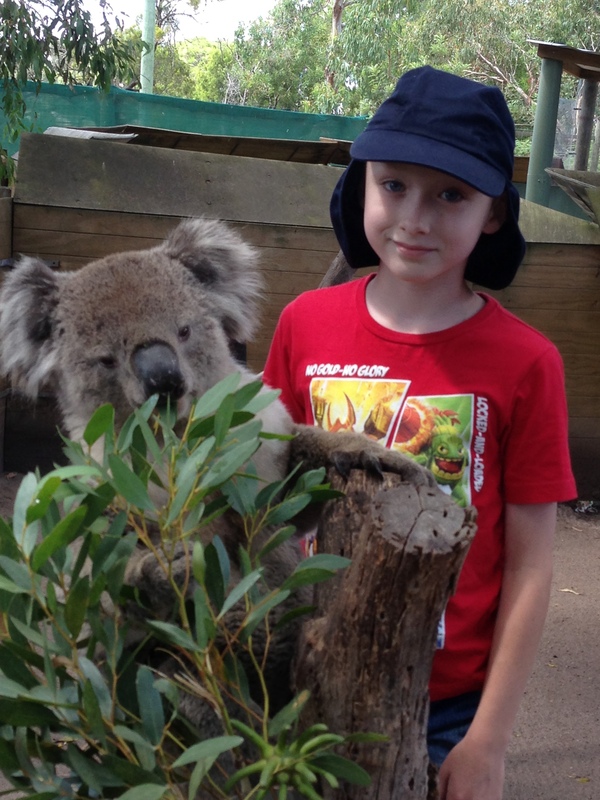 Me and a koala at a local wildlife park. Today, I want to write about koalas because they are cute little animals and come from Australia. They have two thumbs on their front legs. I think that’s weird and don’t know of any other animal that has them, but it’s very handy for climbing. They’re very fussy eaters and only eat eucalyptus leaves. They are marsupials and have a backwards facing pouch to raise their young in. Thankfully, the mums have a muscle that closes the pouch so that the joeys don’t fall out. Koalas sleep for 20 hours a day. This is because their diet doesn’t give them much energy. They only along the east coast of Australia and can be found in forests and woodland areas. Are there any interesting facts that you would like to share about koalas?